There are few more dramatic places to find yourself than round a poker table when a high stakes game is reaching its conclusion. 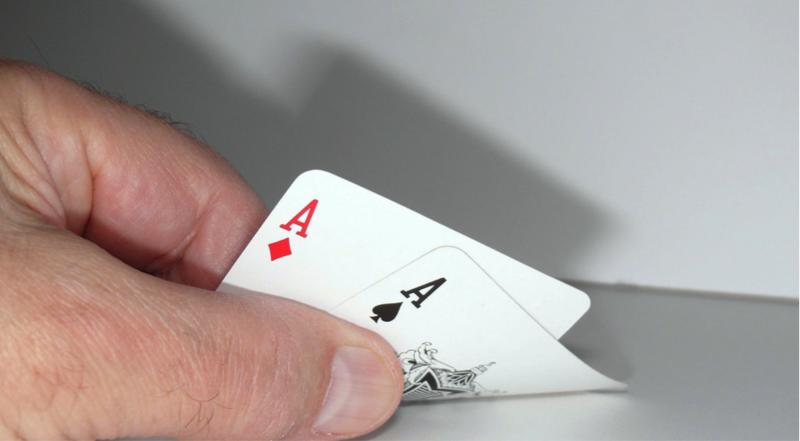 Every turn of a card could mean a shifting in fortunes and you can cut the tension with a knife. But for the eventual winner there’s an unbeatable feeling of euphoria, not just for the money being won but for the fact that opponents have been vanquished. So imagine just what these ten big winners must have been feeling when their victory was sealed! When it comes to poker winnings one player stands out as the most successful of all time in a single tournament. In 2012 he took to the table in THE $1 million buy-in the Big One for One Drop event along with 47 other poker pros and wealthy businessmen. Known as “The Magician” and given to performing card tricks at the table, he used all his skills to emerge victorious taking home an astonishing $18,346,673 – enough, if he’d wanted, to invest in a fleet of around 50 Ferraris! The Hong Kong-based Elton Tsang made his own piece of poker history in the Monte Carlo One Drop Extravaganza in the same Big One for One Drop that helped Antonio Esfandiari carry off the poker world’s biggest prize. His famously aggressive style of play meant that he saw off his 27 opponents to win a very neat €11,111,111. This win helped to catapult him, at a stroke, from being outside the top 3,000 money earners to 21st on the list. British poker ace Sam Trickett was originally planning to become a professional soccer player but in 2005 a serious knee injury meant he had to put those dreams aside and find a new career. That was when he discovered poker and this led him, seven years later, to win an amazing $10,100,000 as runner-up in the Big One for One Drop. It was one of the closest finishes in the tournament’s history so he could very easily have been the player to have held Antonio Esfandiari’s record. Originally from Stockholm but now based in London, Martin Jacobson won two-thirds of his total career winnings in the Texas Hold’em WSOP Main Event. In keeping with Texas Hold’ems exciting gameplay, spectators were kept on the edge of their seats as Jacobson fought to hold on to being the chip leader from Day 1. He battled on as the field thinned out and saw it all the way through to the November Nine when he emerged victorious, not to mention $10 million dollars richer. When he won the World Series of Poker Main Event in 2008, the Danish-born Eastgate was the youngest ever winner of the prestigious tournament at just 23. A few years earlier he had dropped out of college to become a professional player but even then he never expected so much success to come so quickly. When he reached the final table his stamina was tested to the full by the 15 hours that it took him to finally overcome Ivan Demidov to win the $9,152,416 prize. No less than 7,874 players entered 2018s WSOP Main Event, the second highest number in the history of the tournament. But the one who emerged victorious, winning an incredible $8,800,000, was John Cynn. Two years earlier he had finished 11th, just two places short of reaching the final table, and picked up $650,000. In this year’s final he also beat Tony Miles and the 2009 champion, Joe Cada. Nguyen is living proof that anything is possible in the world of poker. Up until his 2016 victory in the WSOP Main Event which earned him a payday of $8,005,310 the most he had ever won in a tournament had been back in 2009 when he picked up a little over $9,000 in a No Limit Hold’em event. But after qualifying in 2016 he eventually beat Gordon Vayo after a 364 hand final table having entered the tournament via a $1,100 satellite. Although the amount may be relatively modest when compared with some of the winners listed here Chris Moneymaker has an important role to play in the history of the game. That’s because he was the first ever player to qualify for the WSOP Main Event through an online satellite tournament. This was back in 2003 when he was a complete unknown but his distinctive playing style, not to mention his name, meant that he was soon attracting a great deal of attention. His $2,500,000 win meant he attracted even more. More and more women are getting involved in poker – although there certainly could be more – and one of the leading exponents is the now-retired Vanessa Selbst. An investment banker by trade, her career earnings have amounted to nearly $11 million with her biggest single triumph coming at the 2010 Partouche Poker Tour when she carried of the first prize of $1,820,000. She is also the only player ever to have won two consecutive NAPT Main Events. Known in the online poker world as ZeeJustin, Bonomo has been a successful figure on the poker scene for the last decade. He’s enjoyed huge successes at a number of World Series of Poker events including three cash ins in his very first year of competition, 2007. But his biggest ever win to date came in 2012 when he picked up a very tidy €1,640,000 in the European Poker Tour Grand Final in Monte Carlo. Although the winnings that these players have picked up have varied greatly all will have had one thing in common – the sheer excitement of the victory. And this is something any of us can feel even when we’re just playing for pennies instead of millions. So maybe it’s time for you to get your cards out or, better still, head for an online poker site, and who knows where it could lead you!